Now…. 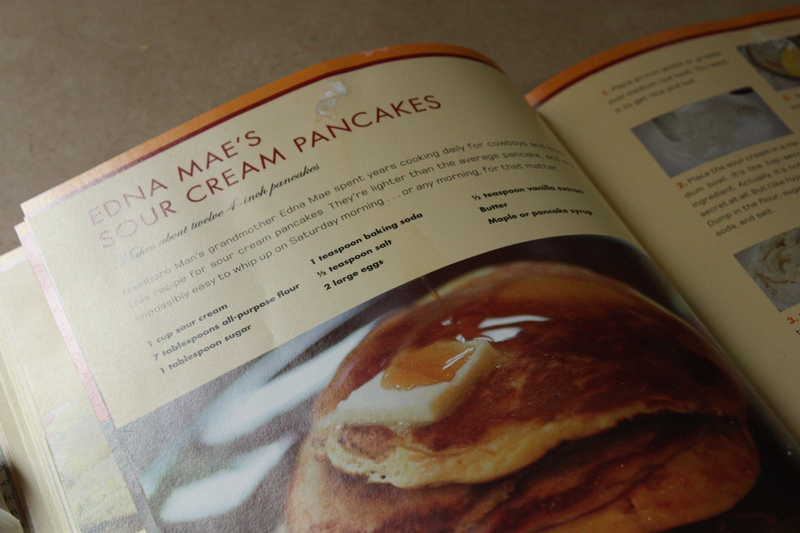 This is a more mature pancake recipe. It’s light, fresh, and fruity. The berries react luminously with the…refreshing citrus… It is best paired with a sparkling apple juice,.. Has….many levels of culinary delight…. I need audio to go with my recipes because I’m really afraid that you can’t hear my sarcastic drawl. Can you? Do I look like a culinary expert? I’m not. I am an eating expert though. If I earned a dollar for every time I ate for fun I’d have a lot of loonies. 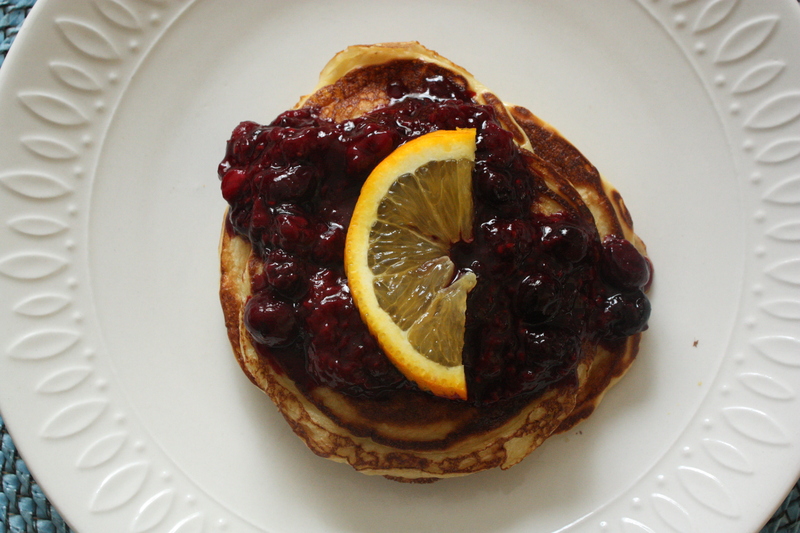 These pancakes are delicate, spongey and not cake-y, which make a better stack (in my opinion). 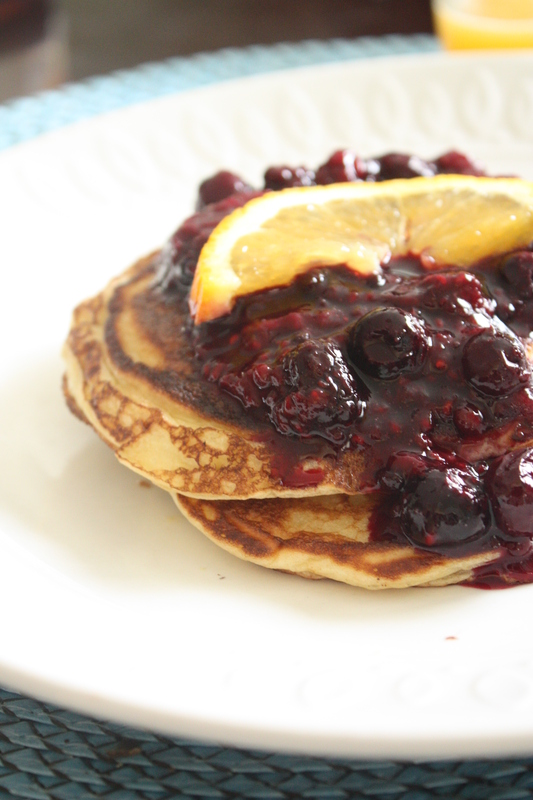 Thick pancakes are great but eating a stack of those will send you into a flapjack coma. I did that when I was like ten at a sleepover because my friend’s hospitable mom kept asking me if I’d like seconds, and I kept saying yes, until I’d eaten ten pancakes. I’m really proud of that. I love telling that story. TEN years old. Can you imagine!??? Amazing.